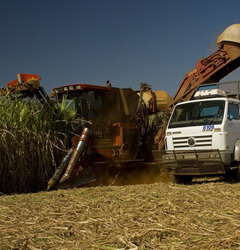 Renuka do Brasil is one of the leaders of the sugar/ethanol sector; working with governmental institutions in the anticipation of the end of cane burning, they prepare for the modernization of raw cane harvesting and invest in harvesters and transshipping vehicles to reach this end. Currently, more than 80% of sugarcane cultivated by Renuka do Brasil is cut mechanically, and the goal is to reach 100% before 2014. The labor reduction for manual harvest by the decrease in cane burning brings about the opportunity of planting being done mechanically. 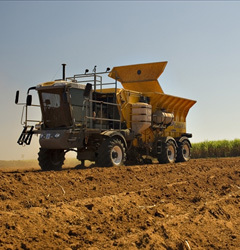 Renuka do Brasil now has the resources to complete 80% of the necessary planting mechanically, with modern updated machinery, which allows higher quality and lower operating costs while also meeting the requirements of the law (NR31).